Rift Herald used to be an afterthought in terms of objective importance, as her reward, while powerful, didn’t encourage many teams to opt into the high risk of combating her. However, the 7.9 changes have greatly increased her utility on the Rift and transformed her into a valuable commodity. Mastering and understanding Rift Herald’s strategic importance will increase your chances of grabbing your team a win at City Champs, where you can represent your city in live matches against rivals from around the country. So what are the advantages of the new Rift Herald and how can you use her at City Champs? We’ve seen how Baron throws can greatly increase the chances of losing a game, so it’s understandable that players would avoid Herald’s buff. However, the midseason changes not only gave the the big ol' scuttler a new look, but sent her in a new direction, allowing players to imprison her in a trinket and unleash her whenever they need her offensive power. Herald is no longer the worthless critter she used to be; instead she has transformed into a terrifying Kaiju that is able to tear down turrets, inhibitors and the all-important Nexus. Her unceasing hunger for these structures makes her extremely valuable for players looking to apply pressure around the map at City Champs. Her ability to chunk huge amounts of damage from turrets is absolutely insane, and those of you who have been on the receiving end of her offensive fury will know just how quickly she can apply pressure. However, the Rift Herald’s slow attack speed forces you to quickly clear waves of minions away from the enemy turret to ensure she can get as much damage off as possible. If you unleash her into a lane full of minions then she will slowly kill the little critters in front of her while your foes poke her down before she can even land a blow to your enemies’ turret. It’s often best to aggressively push your opponents under their turret, by bursting them down with a constant barrage of poke, before unleashing the Herald to instantly obliterate their chances of defending. It’s important to understand the Herald's weaknesses, as she’s very vulnerable to crowd control, so if you summon her into a lane with lots of CC and poke she will likely fail to have the impact you desire. To avoid wasting her pushing potential, try to choose your lane wisely when summoning, as certain lanes can negatively influence her overall effectiveness. For example, mid-lane can be difficult to deal with because it is closer to other lanes, making it very easy for opponents to respond quickly. Consider your options and look for lanes where you could mount a surprise attack. It’s often best to have your jungler take the Herald, because they have the ability to freely roam between each lane and can select the best time to deploy her. However, this may change depending on your team, so make sure you discuss this before combating the Herald. It’s often best to use the Rift Herald when split-pushing, especially when the rest of your team is busy applying pressure down one lane. This will draw the main bulk of your enemies’ power towards the lane being grouped, while you can start split-pushing with the help of the Rift Herald. This play can often reward you with multiple objectives, as the added map pressure becomes increasingly difficult to deal with. However communication, map awareness and deception are all vital skills when using the Herald, especially when you’re aiming to unlock her full potential. Overall, Rift Herald requires a strategic play style that rewards those with quick shot-calling and punishes overaggressive plays. 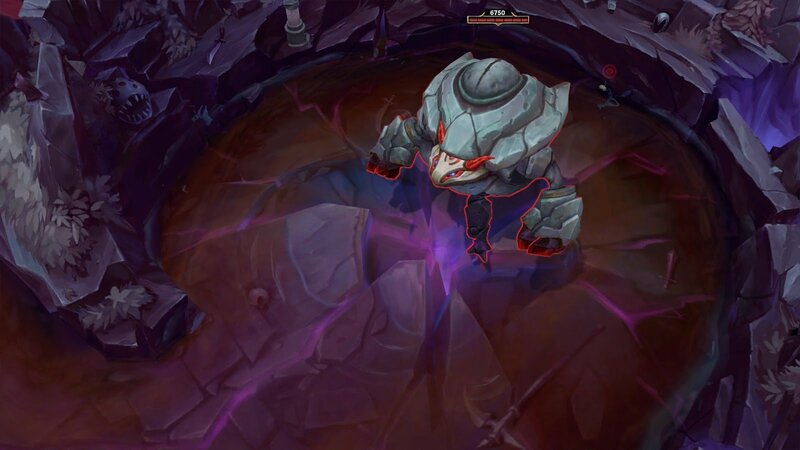 The void scuttler is unlike any other buff we’ve seen on the Rift, and while she may not have the power or the utility of Baron, she does have the ability to greatly influence the earlier stages of the game. If you can harness the Herald’s newfound power, you will be well on your way to securing a place at the City Champs final. Head over to the Super League LoL events page to purchase your ticket and take part in the online qualifiers. You will be placed in one of the four tiers based on your personal solo queue ranking, so you don’t have to be best player in the world to enjoy City Champs. However, only the top players will have a chance to represent their city. Even if you don’t make the cut, you’ll be able to play Challenge Matches as a reinforcement to help earn points for your city. If you’re looking to show off your skills and rise through the ranks in your region make sure you sign up for City Champs today.